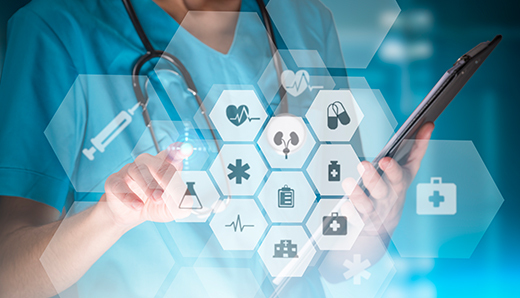 We specialize in building custom healthcare solutions improve the patient experience and deliver high-performance, increase optimization, and ensure security -- backed by more than 20 years of past performance. 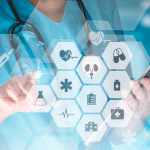 The healthcare industry is adopting solutions that integrate new and legacy technologies to deliver a seamless end user experience – from digitized records to virtual care. Where legacy systems worked within traditional on-prem, cloud, or colocation environments, new systems distribute workloads across hybrid networks. The right hybrid IT mix disburses streaming, collection, compute, and storage to environments where they make the most sense for cost and performance. Hybrid IT is a complex landscape to navigate. Understanding optimized workload distribution and price-performance metrics are key. Not every cloud delivers the same for performance for the same cost. Not every facility is FISMA High rated and power usage effeciveness (PUE) and availability of connectivity differs by facility. Valuable healthcare data requires secure environments verified by stringent compliance guidelines. At Opus Interactive, we take a simple six-step approach to digital transformation. From initial planning through continuous improvement, we work with you to ensure that your environment continues to support your critical assets. 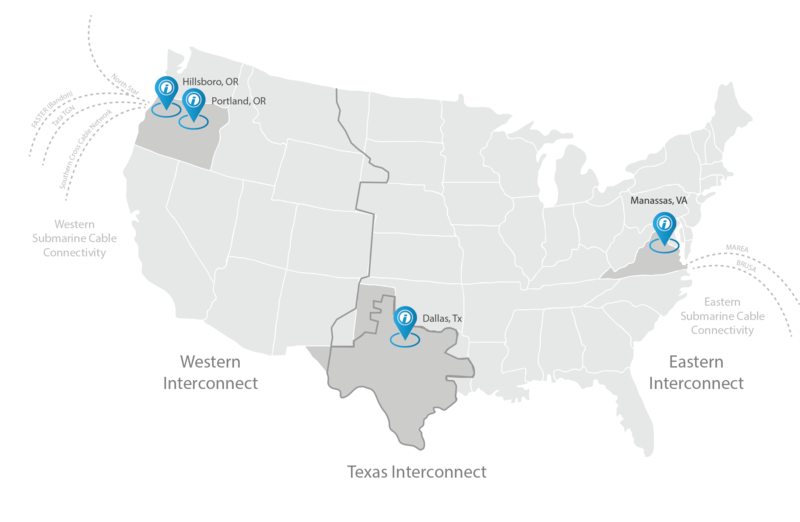 We’ve spent over 20 years building strong partnerships and honing a service mix that we deliver from Tier III datacenters located in Oregon, Texas, and Northern Virginia (FISMA high rated). A member of VMware and HPE partnership programs since 2005 and PCI-DSS, HIPAA, and SSAE 18 SOC 2 Type II audited, the company’s past performance includes proven results since 1996. Efficient workload distribution is key to better performance, cost savings, and optimization. Finding a provider dedicated ensuring your environment is built from the right mix of hybrid IT solutions is key. At Opus Interactive, we’re more than just a cloud and colocation provider. Opus is what you get from 20 years of experience, working with integrity, to deliver solutions that perform where, when, and how you need. When it comes to health care, kids are different. Children’s health, care delivery and policy environment continuously evolve – so do children’s hospitals and systems. Representing more than 225 hospitals, The Children’s Hospital Association (CHA) advances child health through innovation in the quality, cost and delivery of care with our children’s hospitals. Opus Interactive provides the reliable infrastructure hosting and backup that enables CHA to focus on advancing policy, improving performance and enhancing knowledge of children’s health and care. Making sure our patients’ data was protected and available is critical for our organization. Opus Interactive continues to meet our needs for security of the facility, network, price, and flexibility. The healthcare industry is adopting solutions that integrate new and legacy technologies to deliver a seamless end user experience. 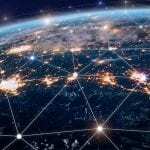 Telehealth, AI and machine learning, blockchain, IoT, wearables, and interoperability require distributed workloads across a right-sized mix of public cloud, private cloud, colocation and on-prem resources. When it comes to security, you can never be too vigilant. Opus Interactive builds custom solutions for mission critical infrastructure used by enterprise and government customers. 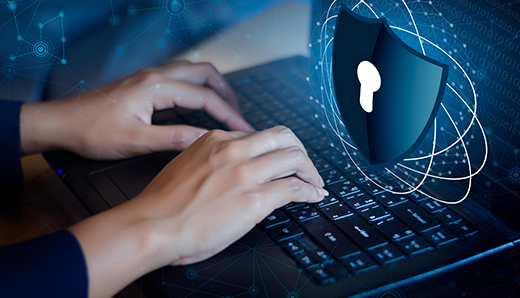 Security is top of mind from firewall to facility, with formal IT policies and procedures that set standards for physical security, logical access, computer operations, change control, and data communications. 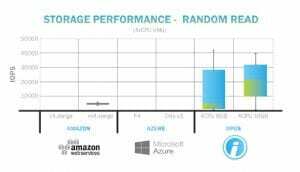 Performance Matters - A Third-Party Comparison of OpusCloud, AWS, and Azure. Not every cloud is the right cloud for your business needs. Performance and pricing are key considerations. We commissioned a third-party study to compare OpusCloud, a obust VMware and HPE solution that delivers optimized performance,with AWS and Azure. 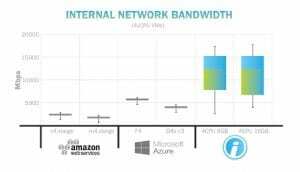 Results show that the OpusCloud demonstrated strong performance and price-performance value for storage and internal network. We pair that with multi-cloud strategies to distribute workloads to where they make the most sense for your performance needs. 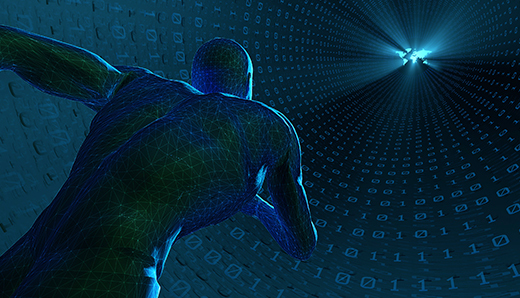 What does the digital transformation process look like with OI? Our first step in every project is to understand end goals. We work to understand user needs, existing resources, security and compliance requirements, policy enforcement needs and then put our 20+ years of experience to work to build solutions that meet the end goals. Opus offers migration planning services to move operating system, applications, databases, interfaces and other components into secure hybrid IT environments that save money and increase efficiencies. We assess, prioritize, then build timelines that deliver when, where, and how they are needed. For organizations that need it, we also have experience moving full physical workloads and hardware. A VMware partner since 2005, Opus Interactive specializes in migrating VMware based Virtual Servers utilizing Veeam Enterprise Backup & Replication. How much cloud onboarding and migration experience does OI bring? Opus brings more than two decades of experience in the enterprise sector hosting and managing critical IT infrastructures that include private, multi-cloud, and hybrid cloud solutions. Whatever the requirements, our approach is to engineer the most optimized solution that delivers quality and performance that meets organization goals and end-user experience needs. A VMware and HPE partner for more than 10 years, the Opus team is also certified in the programs, systems, and technologies that businesses depend on, from public cloud certifications to data privacy, and security certifications like SAS70/SSAE 16, PCI-DSS, and HIPAA. For enterprise, the evolution for storage and compute has gone from on-prem to colocation to cloud to hybrid cloud solutions that distribute workloads to where they perform most efficiently. An estimated 38% of those migrating to public cloud solution migrate off due to a myriad of reasons, including; performance/availability issues, cost, latency issues, downtime, and more. 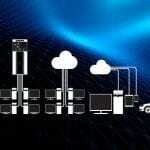 OI has experience with migration from public cloud, other service providers and on-prem services. Is the Opus FedCloud FedRAMP Certified? The Opus FedCloud is currently undergoing the FedRAMP Readiness Assessment for Moderate with FedRAMP-approved Third Party Assessment Organization (3PAO), A-LIGN, who provides OI audits for its PCI-DSS, HIPAA, and SSAE 18 SOC 2 Type II. The FedCloud Cloud Service Offering (CSO) will be hosted inside of Iron Mountain’s Manassas VA-1 Data Center, which is a FISMA High facility and monitored/managed with SL1, which is DOD IL approved. Do OI services qualify under the Buy Indian Act? What are OI's cloud service capabilities? Opus interactive offers a wide range of computer networking and IT services customized to meet the needs of organizations, regardless of size or industry. A trusted advisor with over 20 years in the industry, Opus takes an end-to-end approach to optimize workflows that distribute data storage, transfer, and processing where they perform the best. 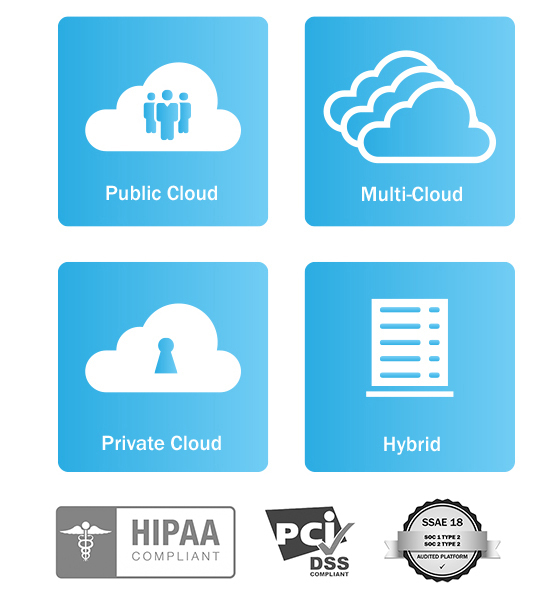 • Private cloud: With over 10 years of proven results, VMware based OpusCloud delivers trusted cloud architecture, engineered from the ground up for security, high-performance, scalability, and extreme resilience. • Hybrid cloud: A mix-and-match approach that creates an ideal infrastructure of public and private network layers to achieve business agility, performance, budget, and data security. • Multi-cloud management services: Monitoring health and performance of cloud environments - public, private, and hybrid. Opus delivers a single-pane solution to providing organizations deeper operational views of the entire IT network. VDI (Virtual Desktop Infrastructure): Virtual desktops and published applications that can be securely delivered on demand through a single pane all powered by VMware Horizon™. Object Storage: Multi-cloud data storage at petabyte scale with low latency and concurrent accessibility. Colocation: Space, power, and cooling with RemoteHands/SmartHands services inside of secure state-of-the-art datacenters. Backup and Disaster Recovery (DRaaS): Fast and reliable backup for virtual, physical and cloud-based workloads, powered by Veeam. Backup, restore and replication capabilities with advanced monitoring, reporting and capacity planning functionality. • Backup-as-a-Service (BaaS): With BaaS, we backup your servers (cloud/dedicated or colo) and application data disk-to-disk in one of our cloud-enabled datacenters and then replicate that data to one of our secondary cloud-enabled datacenters. Your backup data is stored in two locations for use in a manual restore for a disaster scenario. This is the first level of BC/DR and has much longer RTOs. This is considered the entry-level starting point for DR.
• Disaster Recovery-as-a-Service (DRaaS): With DRaaS, the production environment stays on premise in the corporate data center; however, Opus Interactive is used as the recovery site and replication target. You are able to eliminate the target site, reducing capital and operational costs. Additionally, you can focus on other projects while the DR experts at Opus Interactive manage and maintain the replication site. • In-Cloud DRaaS Powered by Veeam Availability Suite: With In-Cloud BC/DR, we host both the production copy and DR copy according to the pre-defined scope of services. This solution eliminates the production and target sites for the application, dramatically reducing capital and operational costs. We assume complete management of the infrastructure and DR, delivering agreed upon service levels. Full suite of managed services: Opus RemoteHands and SmartHands services assist customers that need remote access to their equipment for performing simple trouble-shooting or maintenance tasks. Our 24x7 on-call staff can perform basic tasks that do not require the use of tools or equipment. Opus RemoteHands and SmartHands services are available on-demand or by subscription in pre-committed hourly blocks per month. Where are OI's facilities located? What certifications does OI hold? Opus Interactive has already secured the following regulatory and security audits: PCI-DSS, HIPAA, and SSAE 18 SOC 2 Type II audited, Tier III+ facilities, FISMA High (VA-1). What makes the OI Monitoring & Management for Hybrid IT & Multi-Cloud Solutions different? Opus Interactive closely with Agency and Agency Partners, serving as a trusted advisor to understand the unique needs of the mission and building custom solutions that meet the unique needs of the mission. Whether you need comprehensive visibility into your entire environment to ensure your infrastructure is up and running, or control over services, apps, and services to safeguard optimization, or complete policy enforcement to secure your critical assest, we can build it. Our monitoring an management services are built on the industry’s first end-to-end technology platform to conform to the U.S. government’s security and interoperability standards (DODIN APL) and current certified cryptography methods for data encryption and communication between software appliances and storing of passwords (FIPS 140-2). What is OI's commitment to sustainability? Opus Interactive incorporates sustainable practices from site selection to efficient computing platforms to ensure efficient workflows that reduce overall footprint of services. What are OI's operating principles? Business isn't just business. For Opus, we take the role of trusted advisor seriously and put over 20 years of experience into building the best solutions that fit the unique needs of each customers using best-in-class team, vendors, services, facilities, and partnerships. Learn more about our healthcare IT services or request a quote!